Despite sharing a tiny footprint of land with other guests at this Chinese hotel, you can practically forget anyone else exists altogether thanks to a clever stacked arrangement that points each level in a different direction. 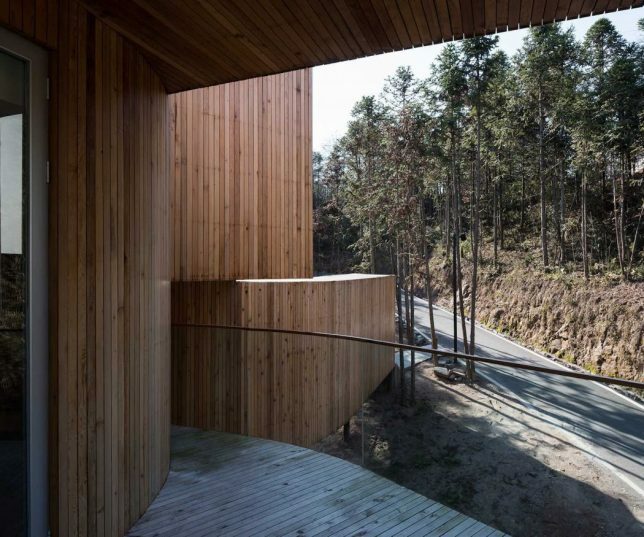 Step out onto your private balcony – located on the roof of the room below – and look out onto the peaceful forest of rural Huang Shan, Anhui Province, China. 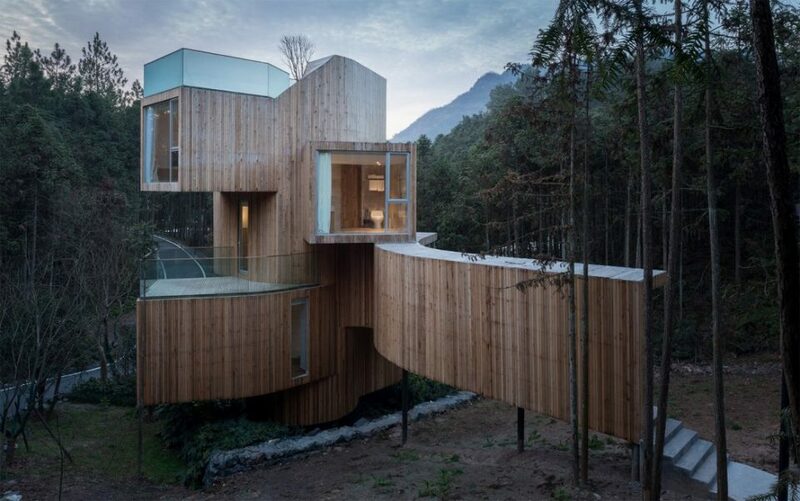 Designed by Shanghai-based architecture firm Bengo Studio, the Qinyushan Tree House is a beautiful use of space. A spiral staircase runs up through the center of the hotel, which includes two guest rooms, two bathrooms, one living room, and a ‘landscape room’ located at the top of the building. 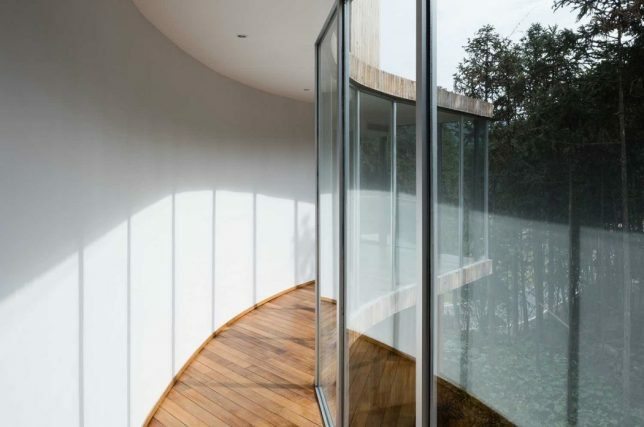 Each room has its own roof access with a glass railing to avoid interrupting views of the trees. 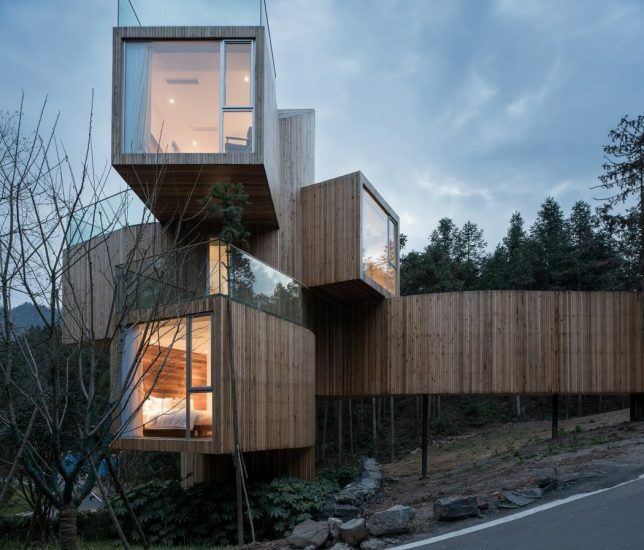 Elevated off the forest floor, the hotel features curvy volumes fanning out in different directions from the central core, capped on each cantilevered end by floor-to-ceiling windows. Guests ascend an enclosed glass hallway to either walk down into the lowest bedroom and bathroom, or ascend to the upper levels. 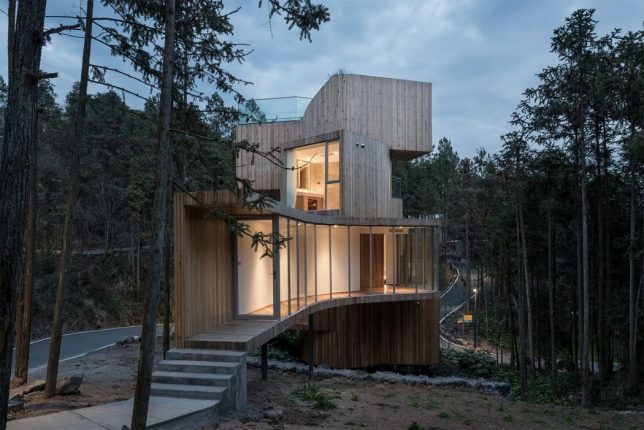 Its vertical wooden cladding helps it blend into its natural environment, and the minimalist design is an interesting take on modern treehouse-inspired structures.